Happy Friday, friends! As always, I hope you have fantastic weekend plans. Me, I’m going to an ice cream churn-a-ment this afternoon, and then I have a hot date to see “Bad Teacher.” So, we’re starting it off right! Before we get going with this week’s list, can I ask you a quick favor? 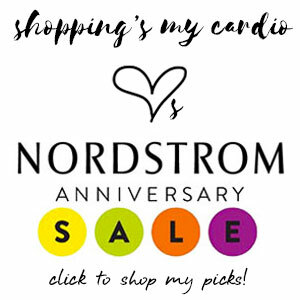 My little Shopping’s My Cardio Facebook page needs you…come on over and be my friend, won’t you? We can, like, throw a kegger or something. And now, business aside…time for our usual Friday eye candy! What do you think of clogs? I can’t quite make up my mind…but there is something about this particular style of Swedish Hasbeens that I love. The strappy-ness (yes, I just made up a word) does a lot to balance out the heft of the sole, and they look mighty comfy. The balance of that is that they’re not cheap…but I’m told these things last forever. This print by Julien Pacaud has been open on my desktop all week. I can’t explain the love, but it’s there…it’s like some fictional land I’d very much like to visit. I should really just buy it already. I am trying so hard to convince myself I could pull off these Rachel Comey zigzag pants. Think you could do it? 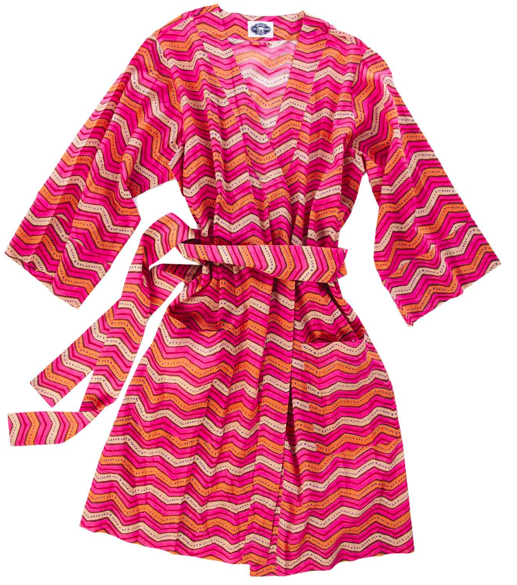 Speaking of zigzag (I’m a little more than obsessed these days), I got a little tip this morning that John Robshaw is having a 40% off sale for the next week. I’m annoyed that my quilt from them has rapidly deteriorated (I really need to email them about that), but that doesn’t stop me from wanting this delicious robe. On sale, it’s $57, and Robshaw’s cotton is definitely something I want to be swathed in for as long as possible. And, okay, one (two) more zigzags…I can’t resist. You won’t be able to either when you see this stunning wallet and crossbody bag (originally spotted by the beautiful Joy) from Deep Dark Africa. I’m so head over heels, there are no words. While you’re there, check out the rest of the site…there are a bevy of world-traveled beauties you won’t be able to live without. Are you feeling the zigzag love like I am this year? Have a wonderful weekend, everyone…see you back here next week! This entry was posted in accessories, art, fashion, friday finds, handbags, shoes and tagged deep dark africa, frances may, john robshaw, julien pacaud, mammoth collection, rachel comey, swedish hasbeens on 8 July, 2011 by shoppingsmycardio.